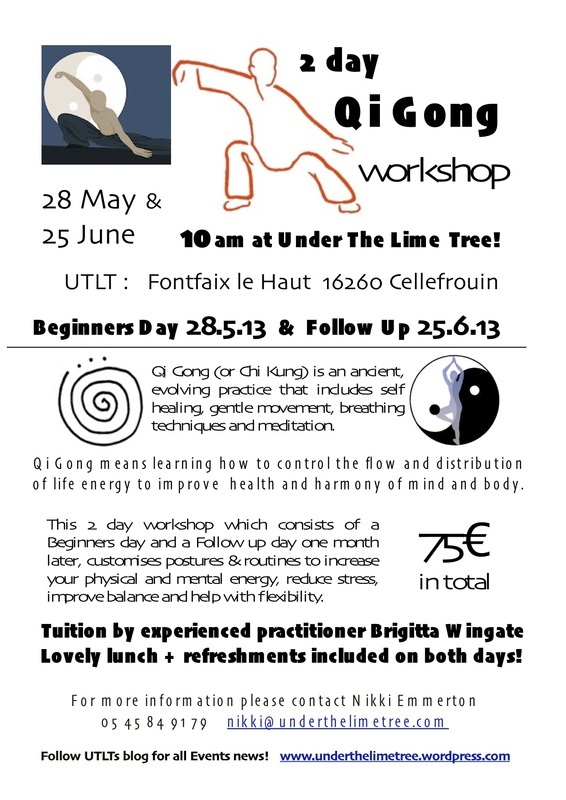 Qi Gong (Chi Kung) Workshop! If you’ve ever wondered what Qi Gong is all about, or even how to pronounce it, now’s your chance to find out! 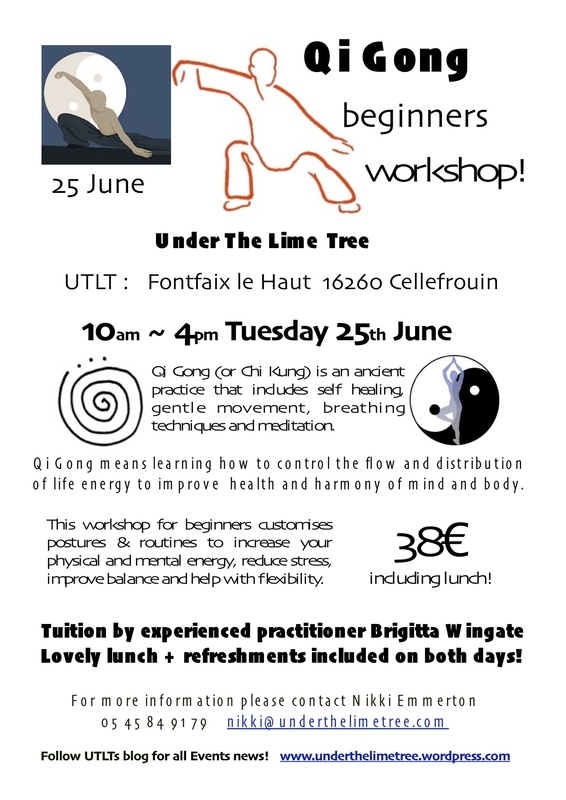 We’re running a workshop to introduce Qi Gong to Beginners on Tuesday 25th June here at UTLT. Try something new by learning this ancient practice! Similar to Tai Chi but different, you’ll understand balance and coordination, strength and softness, stillness and movement all at the same time! With its origins in centuries old martial arts, the regular practice of Qi Gong will revitalize mind and body, bringing improved health, reduced stress and clearer thinking to the student. Don’t miss out on this chance to learn from established practitioner and accomplished teacher Brigitta Wingate, who’s been successfully running courses in other areas of France for some time now. Sign up and book this date into your diary – you won’t be disappointed! Tags: chi kung workshop, qi gong workshop, summer workshops, vegetarian lunch, what is qi gong? Reblogged this on UTLT Blog.